Write down the show name, date, and a contact number. Finalize judging salary and travel details. Assess whether you are capable of judging the show (physical demands, travel, potential conflicts of interest). Once you are hired, avoid giving your opinion of certain cattle or attending similar shows immediately prior to judging your event. Try to avoid judging shows where you will judge the same cattle back to back in less than a 3 month time period. Arrive at the show 30 minutes to 1 hour prior to the event. Instruct your ring staff on how you want the classes lined up and worked. Never check your cell phone while judging. 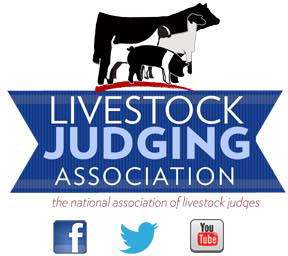 Never walk through the barns prior to the show or seek out certain exhibitors to visit with prior to judging. Limit your conversations with show exhibitors to brief small talk and do not discuss individual animals prior to it beginning. Be honest, be cordial, and be humble. Dress at a level of professionalism. Clean shaven, well groomed, and dressed professionally. A sports coat and tie and starched jeans are appropriate for any level of shows. Never judge in a baseball cap. Give clear and accurate reasons to describe the livestock. Give at least one positive trait of each animal and address weaknesses with tact. Avoid being overly negative. Use standard accepted livestock vocabulary and descriptions. Don’t try to invent jargon terms or use words that are not applicable to livestock. Finalize any paperwork necessary with the show officials. Stay around the ring for a few moments to visit with any exhibitor who wishes to approach you. Promptly move to the backdrop to be in photographs. Collect your salary prior to leaving the event. After photographs are taken and your salary collected, immediately leave the show. Do not go back to the barn to visit or socialize with exhibitors after the show. Never under any circumstance go back to the barn and start drinking or partying with exhibitors or breeders.